Our activity is based on stability, the basis for promotion of sustained growth. That is the strength of our team and its ability to collaborate, procuring lasting relationships with our partners. Our expertise and the professional commitment of our team are our source for integrity. We invest in training and development and choose top professionals to join us. We seek to continuously improve our quality standards in everything we do. In our investments and in the attention to detail, quality is present to ensure that our activity is recognized both internally and by our business partners. Carlos de Menezes Falcão graduated in Law from the Faculty of Law of the University of Lisbon in 1973, and developed its law practice amongst several international clients in the financial, insurance and oil sectors. In 1988, he founded the Títulos Lusitanos to provide executive consulting services and develop investment projects under the Portuguese Government's privatization program. He is the Chairman of the Group. As a result of the internationalization of the Group, he has served on the board of directors of several other companies in Portugal, Spain, Mozambique and Angola. Particularly in Angola, he has been leading the development of the Group's projects and in rendering executive management services to well established international entities, such as ExxonMobil, BP, Total, BAI and Sonangol. He participated in the development of the Torres Atlântico project in Luanda and in the first steps for the launching of the Angolan capital market, and in that context, was involved in providing advisory services to public and private entities namely the Ministry Finance, National Bank of Angola, Sonangol, BAI, Sonils. Today Carlos de Menezes Falcão also holds the positions of Chairman of the Board of Directors of several companies operating in Angola, which develop its activity in the areas of the operation and management of integrated infrastructures, logistics and engineering services to oil companies in Angola and other entities, as well as in the provision of executive advisory services. 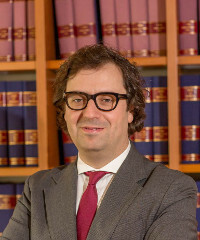 José Francisco Verdelho graduated in Law from the Faculty of Law from the University of Lisbon in 1989 and in 1990 obtained the diploma of Advanced European Studies from the College of Europe in Bruges. 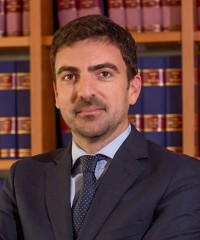 He began his professional life in the consultancy and international taxation department at Ernst & Young, and served as member of the legal staff in the Portuguese government. He also lectured in the Lisbon University Faculty of Law and other Portuguese universities. Since the mid 90's, he holds senior management positions in the Títulos Lusitanos Group, with particular involvement in the international activity of the Group, through the development of the Group's projects and also providing executive management services to well established international entities, such as ExxonMobil , BP, Total, BAI and Sonangol. He actively intervened in the development of the Torres Atlântico project in Luanda and took a part in the first steps for the launch of the Angolan capital market, and in that context, he was involved in providing advisory services to public and private entities namely the Ministry Finance, National Bank of Angola, Sonangol, BAI, Sonils. Today and beyond serving as a Director of Títulos Lusitanos, José Francisco Verdelho is also the Director of several companies operating in Angola, which develop its activity in the areas of the operation and management of integrated infrastructures, logistics and engineering services to oil companies in Angola and other entities, as well as in the provision of executive advisory services. Henrique Parreira graduated in Law from the Universidade Nova de Lisboa in 2003 . Between 2003 and the end of 2005 he joined " Uria Menéndez" law firm having attended and completed, in 2006 and while scholarship from the Calouste Gulbenkian Foundation , attended and completed the Postgraduate "Diplôme d'études Supérieures (DESUP) d'études Juridiques et économiques de l'Union Européenne" at "Université Paris I - Panthéon-Sorbonne". In 2005 he completed the first Postgraduate Law Professional Sport course in the Faculty of Law from the University of Coimbra. Later he worked in a self-owned lawyers office, having joined Títulos Lusitanos in 2007, where he remains to date. At Títulos Lusitanos Group, he is primarily involved in the legal and financial consulting to Angolan and renowned International entities, as well as the legal structuring of private projects, with a special focus on negotiation and contract management. In January 2012 he completed the curricular part of the MSc in Law at Universidade Nova de Lisboa , and in June of that year , the "LL.M. Advanced Master of Laws in International Business Law " in Catlica Global School of Law in Lisbon . Marked by its diversity and unity, our team is often able to surpass the expectations. The diversity allows us to understand various points of view, and the union a fast and effective implementation, having a common aim to get the maximum return on investment for each of our projects. We continue to invest in increasing the skills and union of our team, being an essential factor for Títulos Lusitanos success. 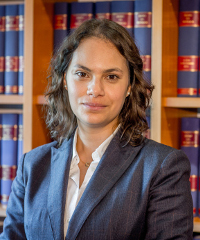 Cláudia Reis obtained a degree in Law from Lusíada University, Lisbon, in 2004. Between 1998 and early 2008 she joined the commercial department of the publishing group "Controlinveste", serving as an assistant to the commercial administration. In 2004, she attended professional training in the areas of labor law and advertising law. During the year of 2008, she joined a solicitors firm with roles in executive proceedings, having attended the initial training the trainers course. In 2009, she joined the Títulos Lusitanos Group, where she remains to date. 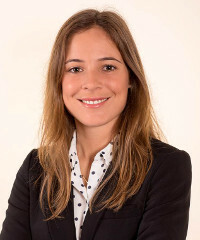 At Títulos Lusitanos Group she's responsible for services coordination, as well as activities related to the core business of the group, highlighting the contractual management and negotiation along with participation in proposals submissions for public contests. Furthermore, she has an active participation in procurement processes and logistical support. In 2013, she completed her law practice internship and was admitted in the Portuguese Bar Association. Flávia Gonçalves Pereira graduated in Economics from Lusíada University, Lisbon, in 1995. In 1997 she became a member of the Order of Chartered Accountants (OTOC). Between 1999 and 2000 she attended the Specialization Course in Taxation from the ISCTE, Centre of Specialization in Management and Finances, Lisbon. Over the years she attended several courses in accounting and taxation. She is part of the Financial Administration of the Títulos Lusitanos Group since 1995, being responsible for the Group's accounting. She's also an adviser for the Human Resources administration. 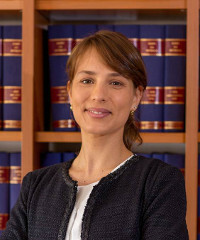 Joana Freitas graduated in Law from Autónoma University, Lisbon, in 2000. In 2002 she completed her law practice internship and admitted in the Portuguese Bar Association. 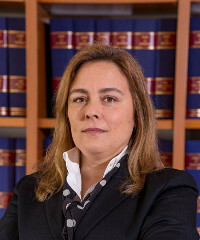 Later, in 2003/2004, she attended and completed a Post-graduation in Procedural Forensic Practices in the Faculty of Law of Universidade Católica Portuguesa. In 2000, she joined the Títulos Lusitanos Group where she remains to date. 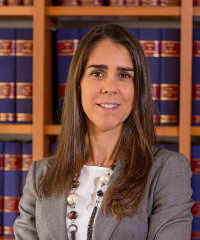 At Títulos Lusitanos Group she exercises her activity as an in-house lawyer, predominantly in the areas of commercial companies Law, Labor Law, Civil Law and formalizing negotiating wills. 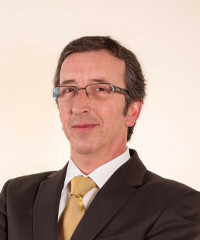 José Monteiro Castelo graduated in Economics and Business Sciences from Universidade Católica Portuguesa, Lisbon, in 1991. In 2002 he completed a specialization in Financial Audit at ISCTE/Overgest and, in 2007, a Post Graduation in Logistics and Distribution at Instituto Superior de Economia e Gestão. He began his professional career in 1990, integrating the financial department at LM, SA. (group of companies in the Engineering Projects, Industry and Services - LM, Voltis, SISVOLT and CONSULAUDIS) as Deputy from the Financial Director. After a short passage by HPA, SA in 1993, where he became the Financial Director and joined the Administration, in 1994 he took the same position at the BÉLTICO Group (Construction, Real Estate and Services) where he remained until December 2000. In 2001, he became general manager of AGROAPOIO Group (Civil Construction and Real Estate) and in 2002 he became Financial Controller and responsible for Procurement and Logistics department at SOLVAYFARMA, Ltd. (Pharmaceutical Industry) until December 2010. In 2011, he joined Títulos Lusitanos Group, where he remains to date. At Títulos Lusitanos Group he is mainly involved in Administrative areas, Financial and Human Resources. José Barreiro Lima graduated in Civil Engineering from the School of Engineering, Minho University, in 1995. In 1998 he concluded an MBA from the Oporto Management School and, in 2001, a Masters degree in Business Administration from Oporto University. In 2008 he concluded a PhD in Information Systems at the Research Institute for the Built and Human Environment (Buhu) from the University of Salford. In 2012, he graduated from Stanford University in the Influence and Negotiation Strategies Program. Between 1995 and 1997 he joined the Project Management unit of the "AFAplan - Planeamento e Gestão de Projectos, Lda." Between 1998 and 2001 he was Senior Consultant at Accenture in Strategy and Business Architecture units, as well as Finance and Performance Management. Later he joined the Mota-Engil group from 2001 to 2004, where he was the Project Director for reengineering and SAP implementation for operational management. In 2007, he joined Títulos Lusitanos Group, where he remains to date. At Títulos Lusitanos Group he is mainly involved in consulting to renowned entities, as well as in structuring executive and management projects. Additionally, since 2001 he teaches and conducts research at several universities, having authored several publications. 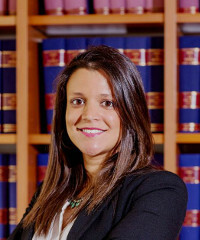 Leonor Farrajota graduated in Law at the Law School from Universidade Católica Portuguesa, Lisbon, in 2010. In 2011, she completed the LL.M. "Law in a European and Global Context" from Católica Global School of Law in Lisbon. In 2011, she joined Títulos Lusitanos Group, where she remains to date. At Títulos Lusitanos Group she is primarily engaged in providing assistance to management in various legal areas, with special focus on Foreign Investment and Procurement. Miguel Bagôrra graduated in Civil Engineering from the Faculty of Engineering from Oporto University in 2000. In 2003 he concluded a MBA from Oporto's Management School. In 2013 he obtained a Global Executive MBA from INSEAD. Between 1999 and 2002 he was responsible for Engineering projects and Project Management in some of Portugal's largest construction companies. Later he served as advisor to the Administration and Project Management on various construction companies, banks and holdings in Portugal and Angola. Since 2007 he collaborates with Títulos Lusitanos Group, engaging in consulting to renowned entities, as well as in structuring executive and management projects and to engineering related areas. Paula Silva graduated in Electrical and Computer Engineering from the Faculty of Engineering from Oporto University (FEUP) in 1989. 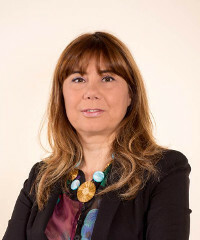 Between 1989 and 1991 she worked at Philips Portugal as project leader, where she was responsible for the specification, testing and manufacturing of electronic components. 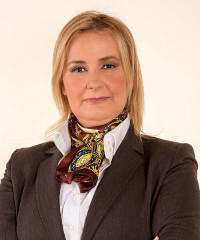 Later, between 1992 and 2012, she joined INESC Porto - Institute of Engineering, Systems and Computers as a researcher, responsible for projects and as a consultant, in the areas of organization, information technologies, quality and industrial maintenance. During this period she completed several additional professional and academic training, like the Masters in Electrical and Computer Engineering in 1994; TMP course -Total Productive Maintenance from Astrein; in 1999 the General Management Course from Oporto's Management School; in 2005, Integrated Logistics and Supply Chain from EGP; in 2006, Analysis and Design of Workflows Procedures from the Faculty of Engineering, Oporto University; and in 2010, ITIL V3 Foundation from APCER. In 2012, she joined the Títulos Lusitanos Group, where she remains to date. 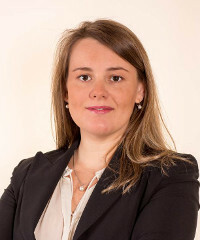 At Títulos Lusitanos Group she is mainly involved in the definition, implementation and auditing the Integrated Quality System. She is also involved in the management of the group's Information Technologies.